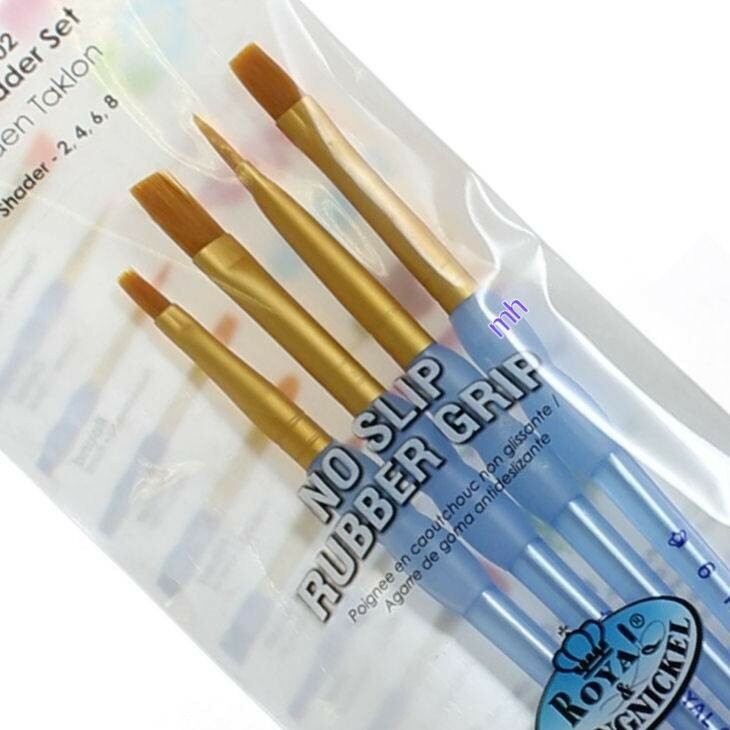 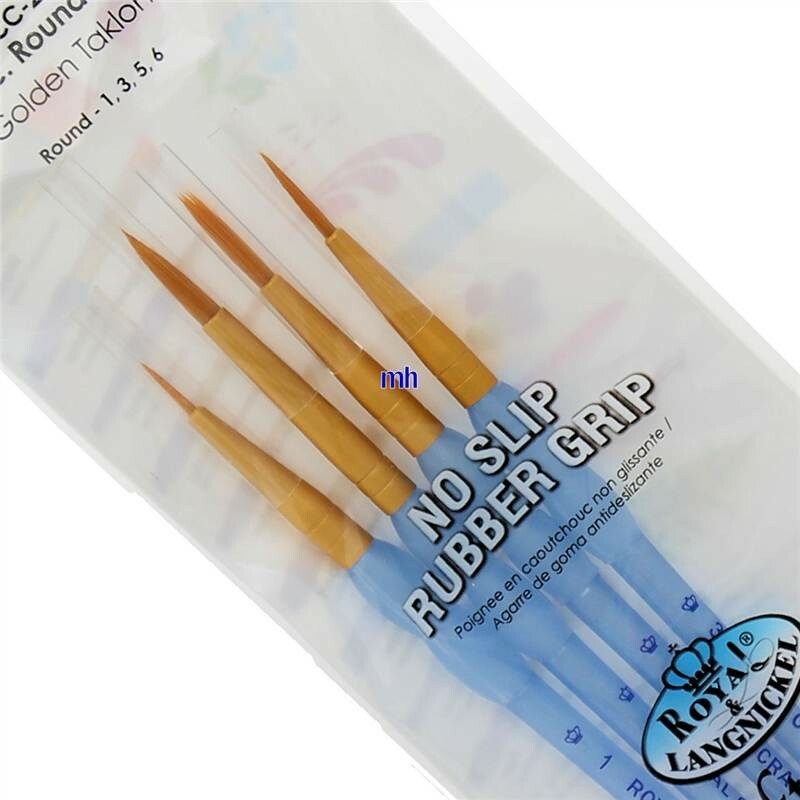 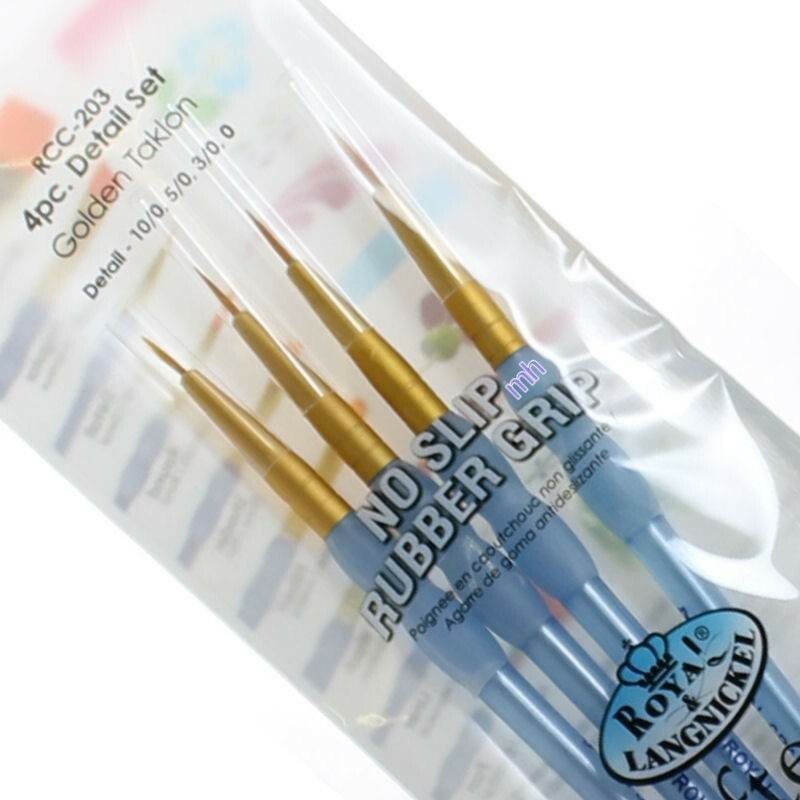 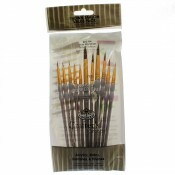 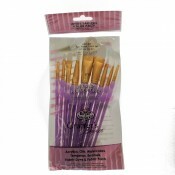 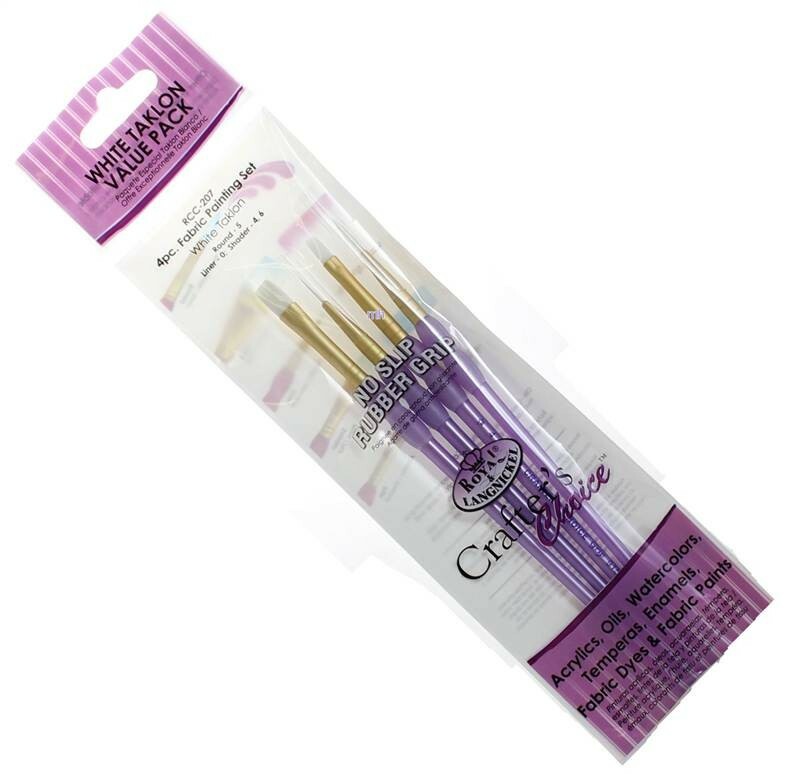 Royal and Langnickel Crafters Choice Soft Grip Brush sets. 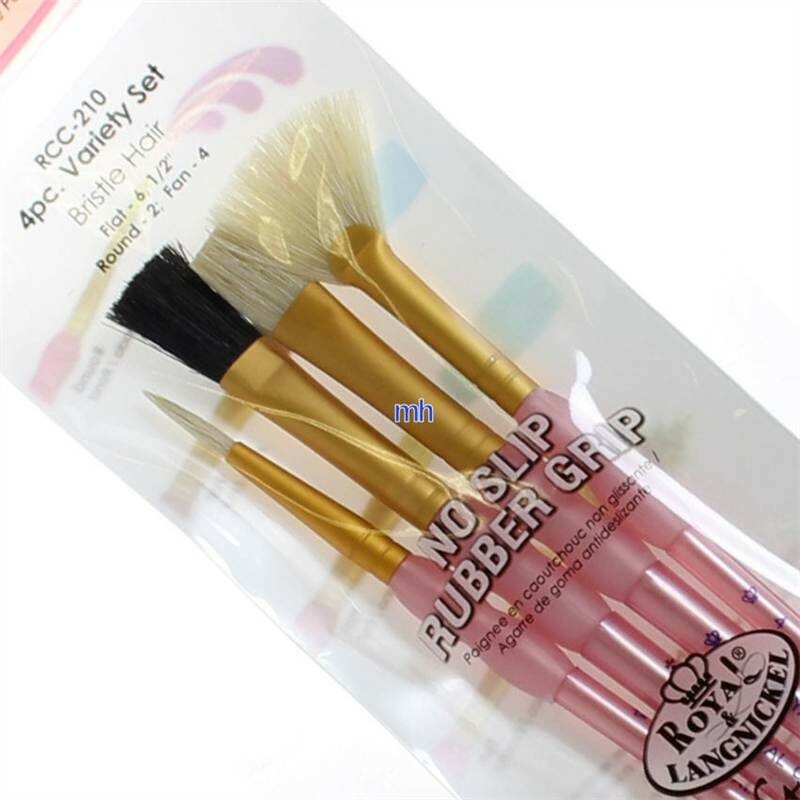 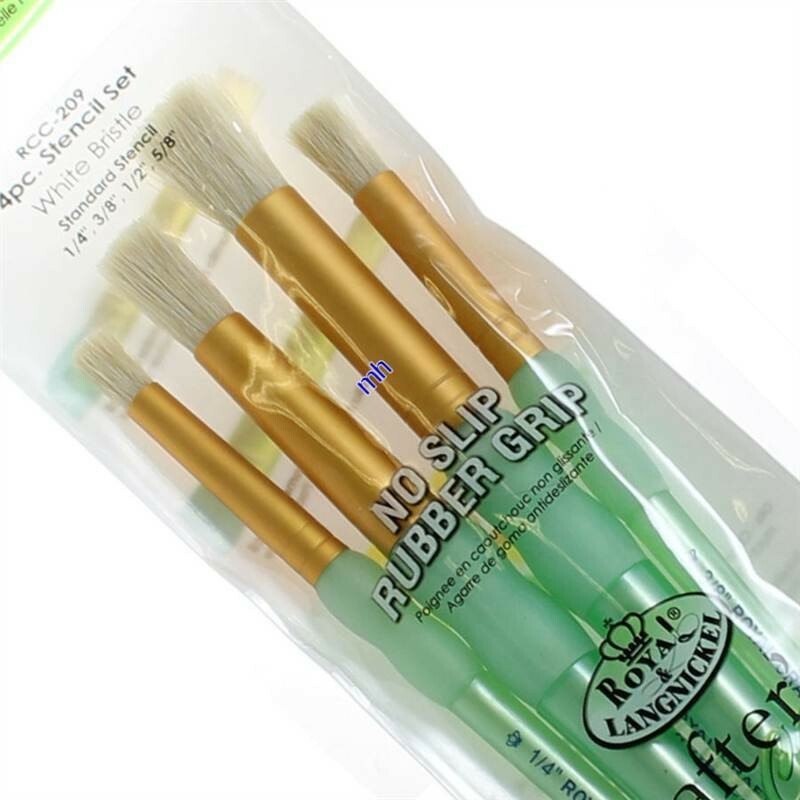 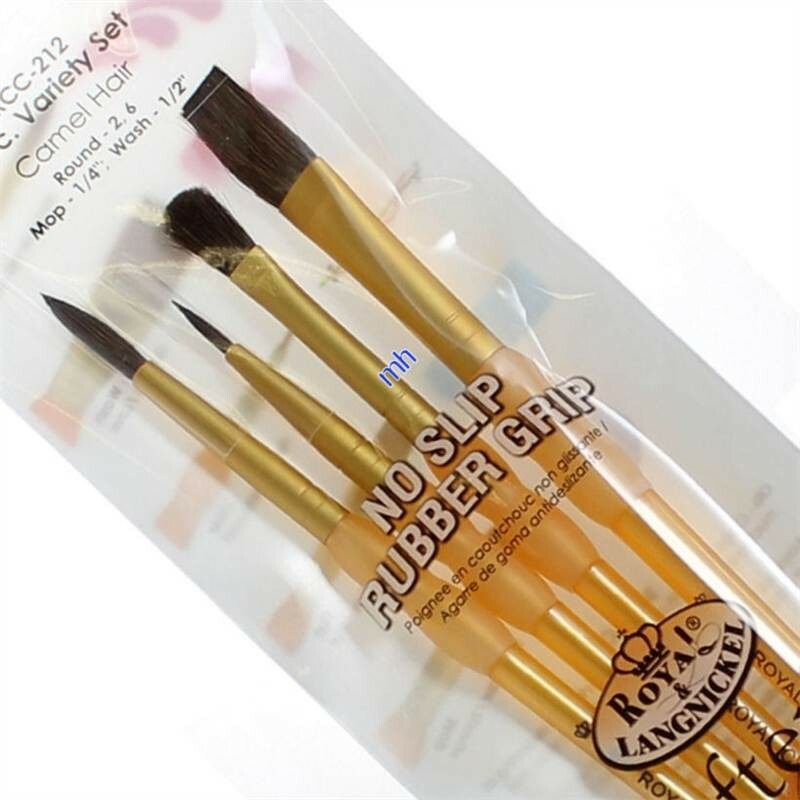 Each brush has the royal brush soft grip handle, designed for your comfort. 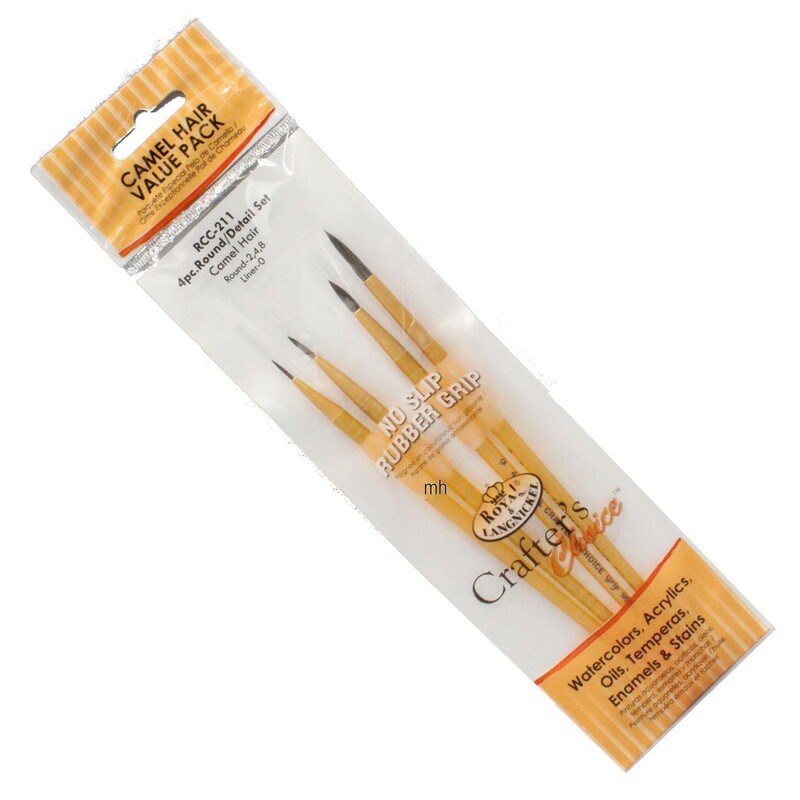 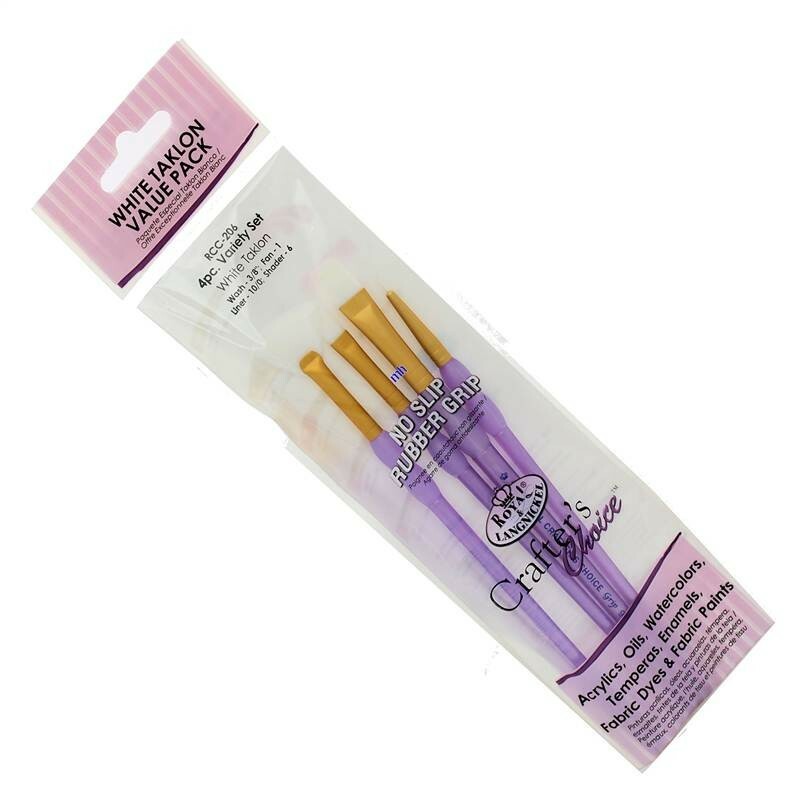 These are great value sets and are made to a higher standard than the normal cheap brushes found at this price point. 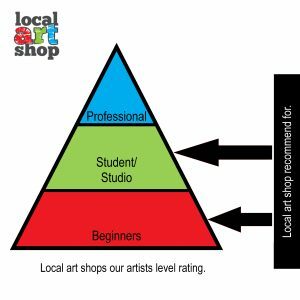 Favoured by beginners and students working in all mediums. 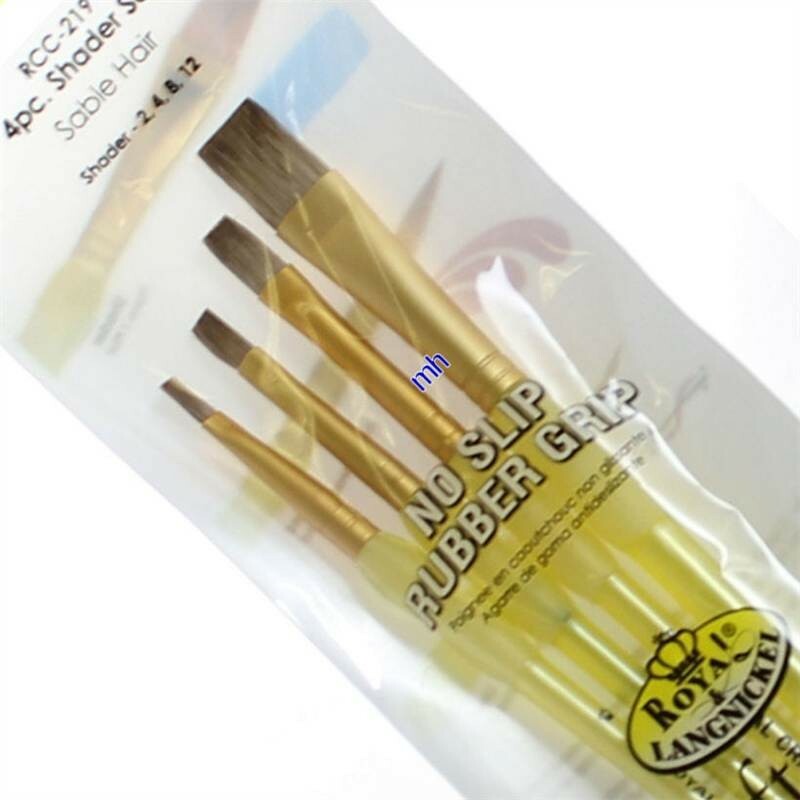 RCC-209 4 pc White Bristle Stencil Set Standard Stencil sizes: 1/4", 3/8", 1/2", 5/8"
RCC-211. 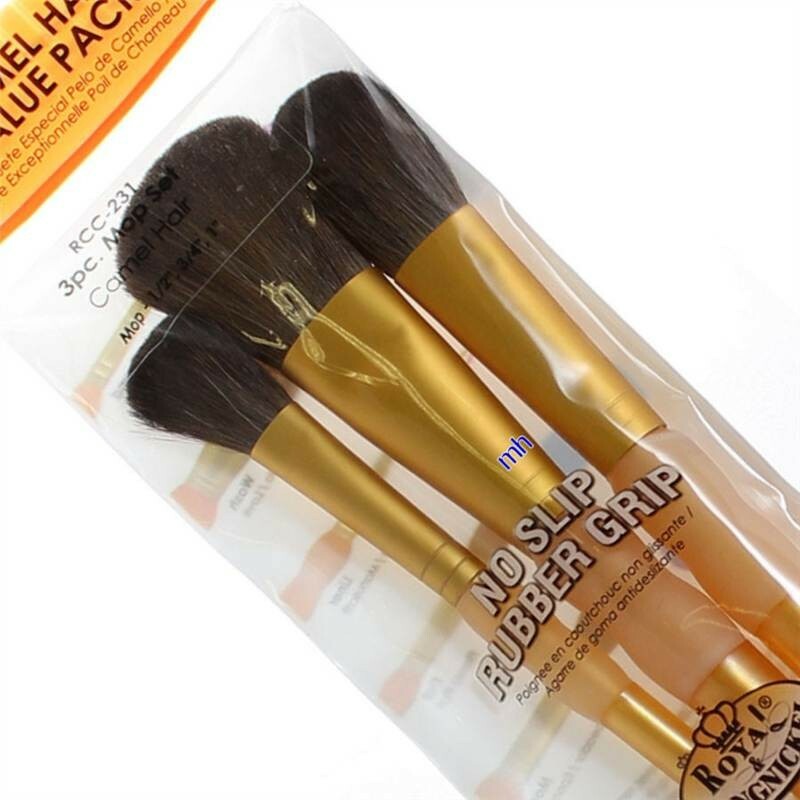 Contains: 4 Camel hair brushes Round: 2, 4, 8. 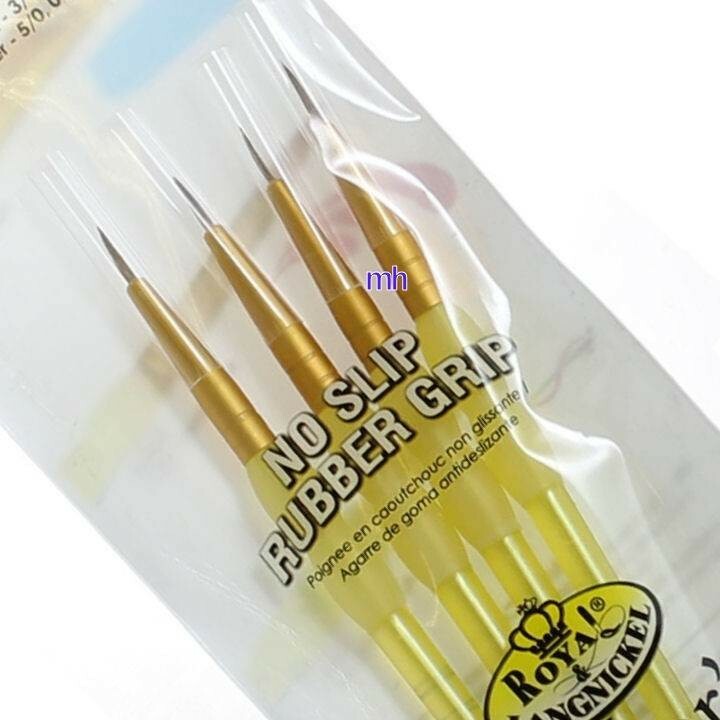 Liner : 0. 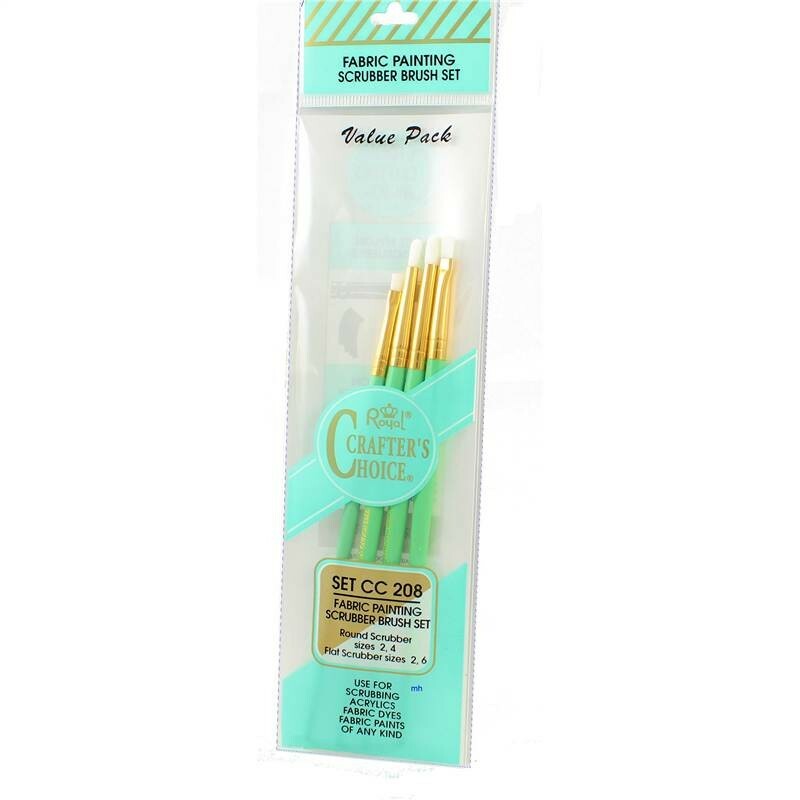 RCC-212 4 pc Camel Hair Variety Set Round size: 2, 6 Mop size: 1/4" Wash size: 1/2"
RCC-230 3 pc Camel Hair Flat Set Flat sizes: 1/2", 3/4", 1"
For more info on each pack set, click through to see their main, single listing. 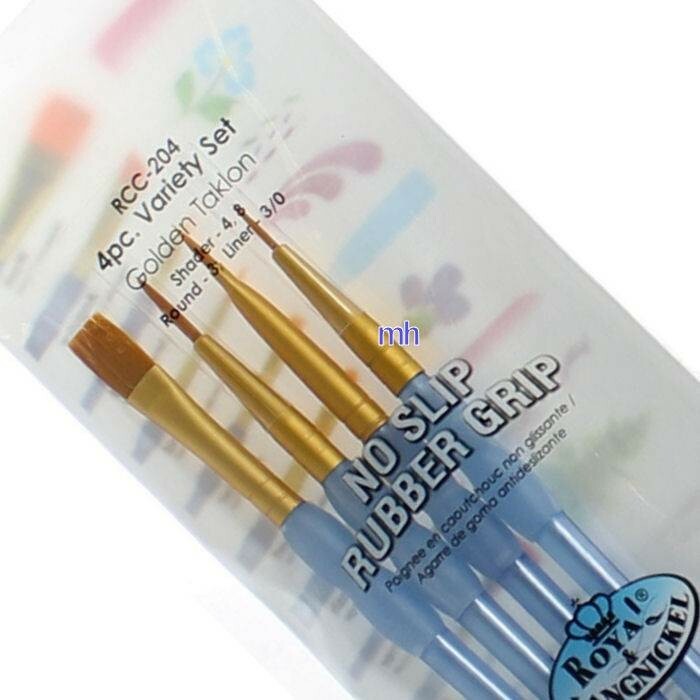 Buy 2 get 3rd free. 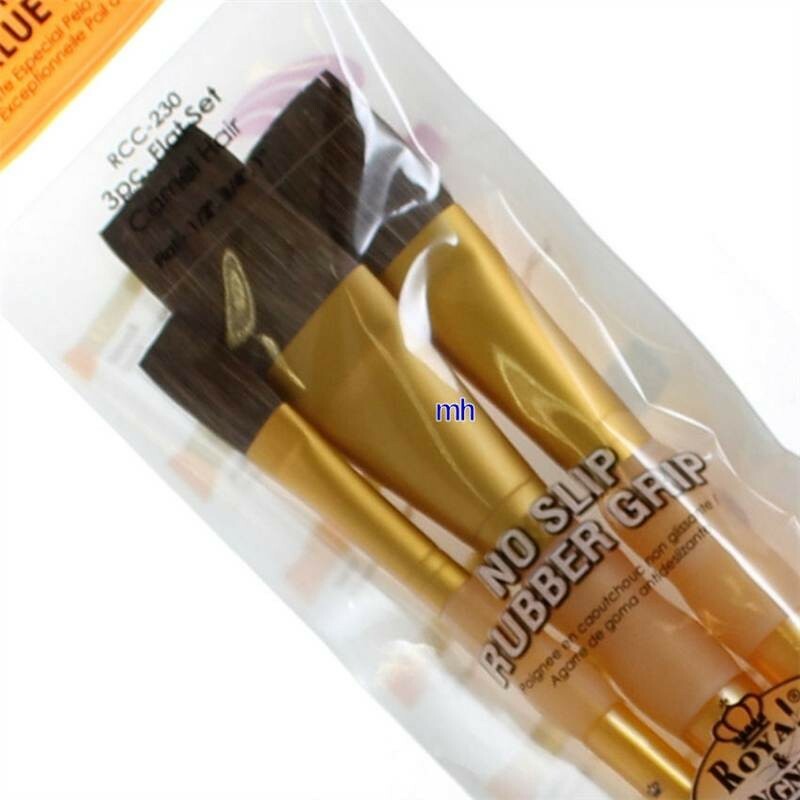 Customers must ensure that all three items have been added to the basket to get discount - cheapest item free, mix and match any items that appear in Buy 2 get 3rd free section.